KUCHING: It is up to the police if the civil rights movement, Sarawak for Sarawakians (S4S), insists on holding a parade from MBKS building to Padang Merdeka to mark Sarawak’s independence on July 22. Deputy Home Affairs Minister Dato Sri Wan Junaidi Tuanku Jaafar who is also Santubong MP said the police had reasons why they did approve the parade in the first place. 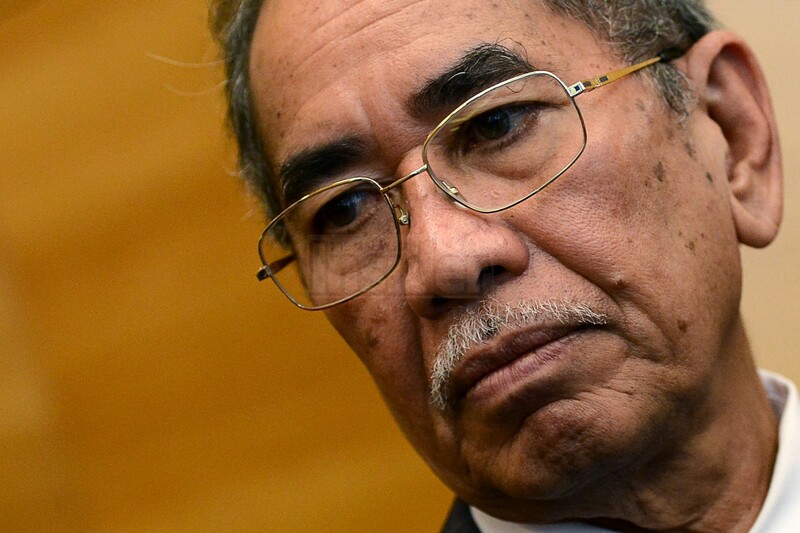 He said while he understood there were certain parties in the state wanting to celebrate July 22 as an independence day when Sarawak gained independence from the British Colonial Government in 1963, he was also concerned of the confusion it would cause to the people. “If they wish to continue with the parade, it will be up to the police to handle them. “I don’t deny their rights to celebrate. It is not wrong to celebrate but it will confuse the people. We already have August 31 and September 16, how many more dates should we celebrate,” he said at his Hari Raya open house held at the old DUN complex yesterday. According to him, in the United States of America, each state had its own date of joining the union of the United State, but Americans only celebrated July 4 as their Independence Day, the date when the continental congress declared the union of the United States. He said there should be a fixed date for Malaysians to celebrate their Independence Day. On July 22, 1963, the last British colonial governor Sir Alexander Waddel left the Astana and boarded a white sampan to cross the Sarawak River to hand over the administration of Sarawak to her own people. Sarawak joined Sabah, Malaya and Singapore to form Malaysia on September 16, 1963. Recently, the civil rights movement, Sarawak for Sarawakians (S4S), held a press conference to announce that they would hold a parade from MBKS foyer to Padang Merdeka to mark the state’s independence on July 22. The parade, they claimed, was aimed to create awareness among the people that July 22 was the correct date when Sarawak gained independence from British Colonial Government.